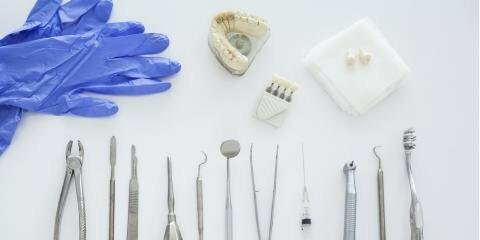 If your tooth breaks, chips or decays, you might need a dental crown. These fit over the top of the tooth and help improve the look and function of smiles by restoring the size, shape and strength of a tooth. 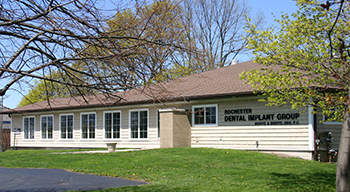 Today, the dentists from Buhite & Buhite, DDS in Rochester, NY, will explain what you need to know about this common dental procedure. Teeth may become chipped, discolored, damaged or worn out for various reasons ranging from poor oral hygiene to old age. When this happens, a dental crown may be the appropriate solution to restore the tooth and prevent further damage. It's also used for purely cosmetic reasons or to create a tooth supported by a dental implant. While crowns were traditionally made from a metal like gold, yours will likely be fabricated from porcelain or ceramic, both of which can be made to match the color and feel of your natural teeth. Some dental crowns are even made out of stainless steel. All of these materials are effective in protecting the tooth. To ensure the patient feels no pain during the procedure, the dentist first numbs the surrounding gum tissue. Then, they file the tooth so as to accommodate the incoming crown and carefully make an impression of the tooth using a special paste. This mold is then sent a dental lab, which manufactures the dental crown. In the meantime, the patient wears a temporary crown made out of acrylic. When the mold is ready, it is carefully adhered to the tooth. Soon after the procedure, patients can resume eating and caring for their teeth as usual. With the proper care and regular dental visits, dental crowns can last up to 25 years. Whether you need a dental crown for cosmetic reasons, restorative ones, or both, the experts from Buhite & Buhite, DDS will take care of you. To learn more, call them today at (585) 342-1323 or visit the practice's website.